For businesses with a team of employees selling on the road, or even when someone is needed to step away from the counter to bust a queue, our new Mobile Staff feature enables your staff to accept payments for you on their own mobile devices — free of charge. 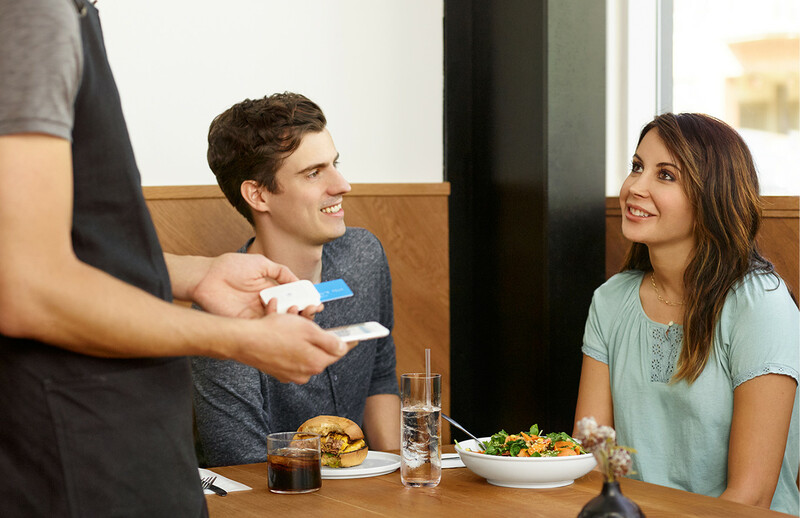 Employees assigned to the Mobile Staff role in Square Dashboard are given the ability to accept credit and debit card payments, as well as issue refunds, on your behalf without giving them access to business-sensitive information or the ability to edit settings in your Square account. When the time comes to promote team members and give them additional access to the Square Point of Sale app or Dashboard, you can then create customisable permission groups with Square Employee Management. What’s the difference between Mobile Staff and Square Employee Management? Mobile Staff is perfect when your business needs a little extra help but maybe hasn’t built up the need for a workforce just yet. You can use Mobile Staff to invite team members operating in the field to create a login to accept payments and issue refunds on behalf of your business. It’s free to use Mobile Staff in the Employees section of Square Dashboard, meaning you can mobilise your team at no extra cost. If you’d like to track employee sales on a shared device, or need more advanced features such as timecard management or customised permission levels, we recommend you check out Square Employee Management (which you can try free for 30 days — and afterwards costs just $3 per employee, per month). How do I turn on Mobile Staff? From the Employees section of your online Square Dashboard, select Create Employee. Toggle Permissions ON > select Mobile Staff (Free) from the drop-down menu. To view and edit permissions for Mobile Staff, click Edit Role. Note: The permissions selected apply to all individuals assigned to the Mobile Staff (Free) role, not just the employee you’re creating the login for. Enter the email address to which you’d like to send the Mobile Staff invitation. This should be the email address the Mobile Staff employee uses to log in to the Square app. Mobile Staff also allows you to track employee sales. Navigate to the Employee Sales Report in your online Square Dashboard, and from there you can filter by Mobile Staff and drill down to the details on employees’ individual sales. Keep in mind that employees assigned to the Mobile Staff role are only able to access their own sales while they’re using the Square Point of Sale app. If you’d like to learn more about how to use Mobile Staff, read more in the Square Support Centre.